For almost two months, my neighborhood in Tampa has been terrorized by a serial killer. Four people are dead, with nothing connecting them other than that they live here in Seminole Heights. 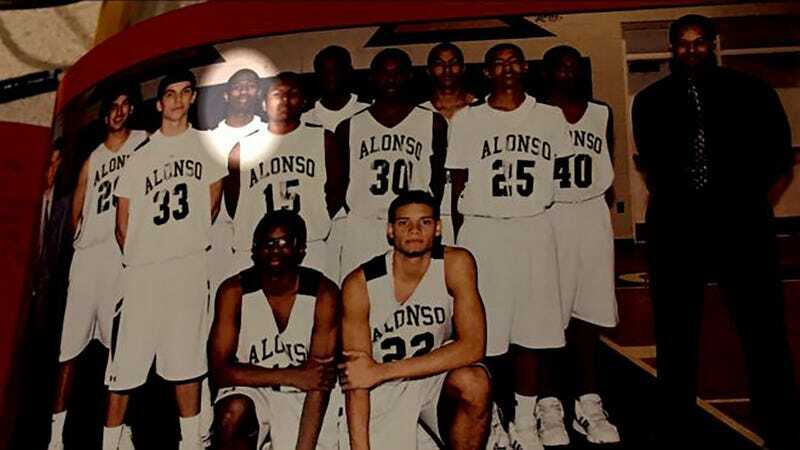 Yesterday, cops arrested Howell “Trai” Donaldson III and charged him with the murders; today, Rob Dauster over at NBC Sports recognized Donaldson as a former high school basketball star who walked on to the St. John’s basketball team. Donaldson graduated from St. John’s earlier this year; a school spokesman told NBC Sports he did not appear in any games, and that Donaldson walked onto the team during the 2011-12 season when coach Steve Lavin found himself with only seven scholarship players available. McDonald’s employee Gail Rodgers said Donaldson had worked there for just two months. He was wearing his McDonald’s uniform and showed up in a red Mustang, possibly his father’s car. Rodgers said Donaldson asked the manager to hold onto his semiautomatic pistol for him. She said it was loaded. Then Donaldson walked to Amscot to get a payday loan. Police said he was a crew leader at the restaurant, but Rodgers did not know if he was working that day. The manager didn’t know what to do with the gun. Rogers said she huddled with the manager and told him to alert an officer inside the restaurant. The manager told the officer about the gun. Backup was called. As Donaldson walked back into the McDonald’s parking lot, officers were waiting. Police took him away, saying only that he was being questioned. Cops say Donaldson bought the Glock just days before the string of murders happened, at Shooter’s World near the USF campus.